Professional packing, crating, shipping and climate-controlled storage for fine art and other valuables. Providing services for museums, artists, galleries & collectors since 1980. Fully insured with worldwide coverage. Nationwide fine art transportation and delivery. Druce Reiley & Associates is a comprehensive resource for museums, visitor centers and other informal learning destinations. We are experience designers, bringing diverse expertise and passion to the work of connecting audiences to culture and heritage. We build partnerships with our clients to find the right suite of services for their needs and budget. Although our clients’ considerations are always unique, our challenge is the same – to create the best possible visitor experience with the available resources. We believe that in an informal learning environment there is no useful distinction between what enlightens and what entertains. It’s all a story; let’s make it a good one. This community began in 2011 with the name, Connecting to Collection Online Community, as a part of the Institute of Museum and Library Services' many-sided national initiative, Connecting to Collections (C2C), to improve collection care for smaller cultural institutions. Initially, Heritage Preservation moderated this Online Community in cooperation with the American Association for State and Local History and with funding from the Institute of Museum and Library Services. We're a group of CRMs, database designers, and Business Consultants who believe that real efficiency is often good physical storage and the technology to track it. We help dig you out. Every organization has critical items and records. How well you store, and how fast you find them determines how efficient you are. We design systems that make you more productive. We Walk into your records or inventory nightmare, and learn about how you work, then design a storage and access system using the best products available to bring you to a whole new level of efficiency. 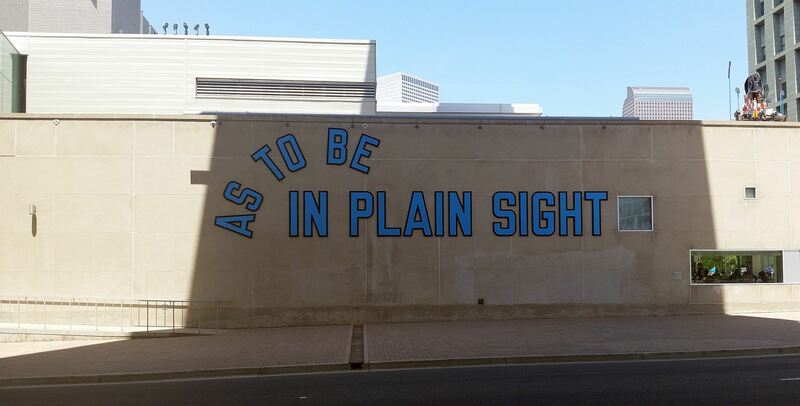 The Albuquerque Museum is a must-see destination. 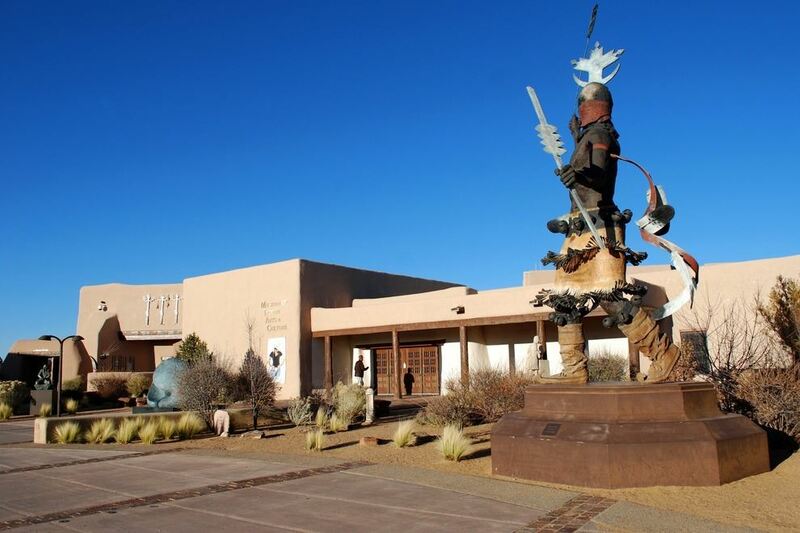 Whether you're a local seeking to be immersed in art or history, or a visitor wanting to experience Albuquerque's premier cultural institution, be sure to include a visit to the Museum. 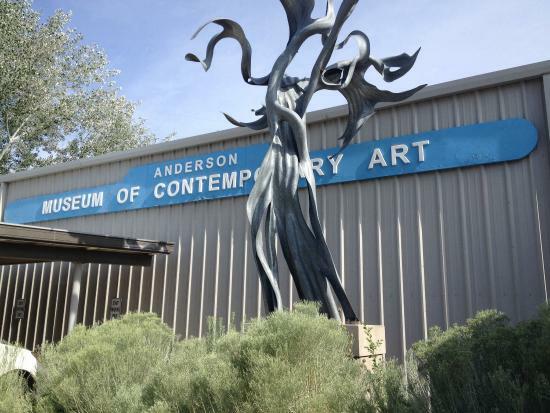 The Anderson Museum of Contemporary Art opened its doors in Roswell, New Mexico, in 1994 to showcase works of art produced by former fellows of the Roswell Artist-in-Resident Program. Today, more than 400 diverse works of art enliven its nine galleries and 22,000 square feet of exhibition space. Dedicated to the work produced by artists who have participated in the Roswell Artist-in-Residence Program, AMoCA has become a source of knowledge and inspiration about contemporary visual art for the Roswell region, New Mexico and the Nation. This unique collection of photographs, paintings, prints, drawings and sculpture provides a snapshot of the evolving issues in art over the last 45 years (since the 1967 inception of the Roswell Artist-in-Residence Program). Works range from figurative to non-objective and showcase the diversity of the Roswell Artist-in-Residence Program. Few other museums provide a similar focus on contemporary visual art with such an eclectic range of form and content. 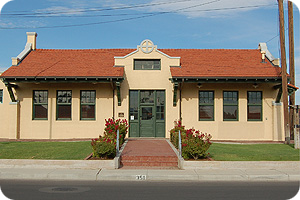 The Artesia Historical Museum & Art Center is located in the unique Moore-Ward cobblestone house. 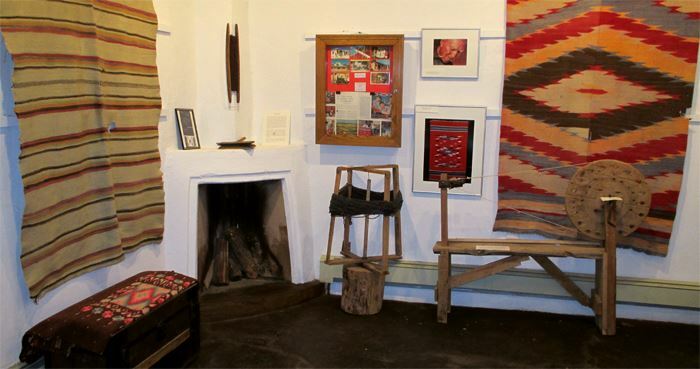 Exhibits in the main house focus on local and area history, featuring photographs, Native American artifacts, farm and ranch displays, and a hands-on children's room with hats and clothes to try on. The Art Annex gallery next door features rotating exhibits such as local art shows, traveling exhibits and temporary in-house displays. The museum offers special programs by arrangement and extensive outreach services as well. Built in 1864 by Lucien B. Maxwell. 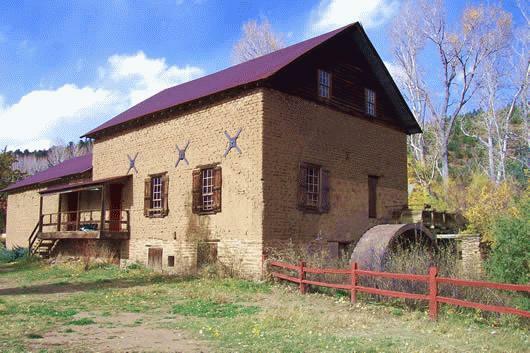 The Aztec Grist Mill in the southwest corner of Cimarron. It was built to provide ground grains for the Maxwell Ranch and the Jicarilla Apache Indian Reservation, as well as Santa Fe Trail travelers. Today it is operated as a museum and houses working mill parts and life-size figures of local history. 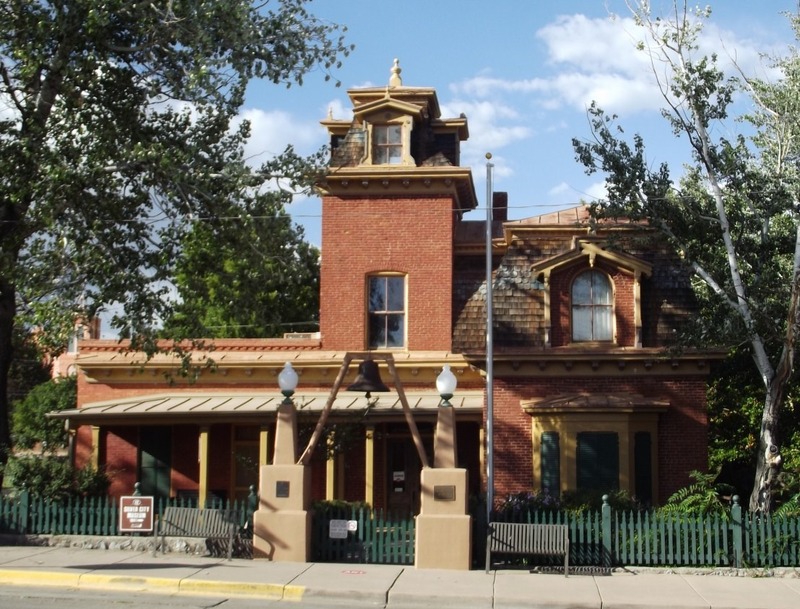 The Harvey House Museum is dedicated to preserving and promoting the history of the Harvey House and Harvey Girls, railroads in the Southwest, and Belen. Inside you can find memorabilia pertaining to the Harvey House and the Santa Fe Railway, as well as exhibits on local early businesses in Belen. The Harvey House Museum is one of the few places where you can learn about America's first chain of restaurants. Admission: $3. Sunday admission for New Mexico residents with ID is free. Wednesday admission is free to New Mexico Seniors with ID. Children 16 and under are always admitted free. A unique new museum designed by Navajo architect David Sloan - shaped like a hogan and a tepee - and an interpretive trail, provide information about the tragic history of Fort Sumner and Bosque Redondo Indian Reservation. Approximately 40 interactive exhibits trace the history of the WWII Manhattan Project, highlight the Laboratory's current and historic research projects related to defense and technology, and focus on Laboratory research related to national and international economic, environmental, political, and social concerns. These exhibits together with extensive educational and community programs draw nearly 80,000 visitors a year. 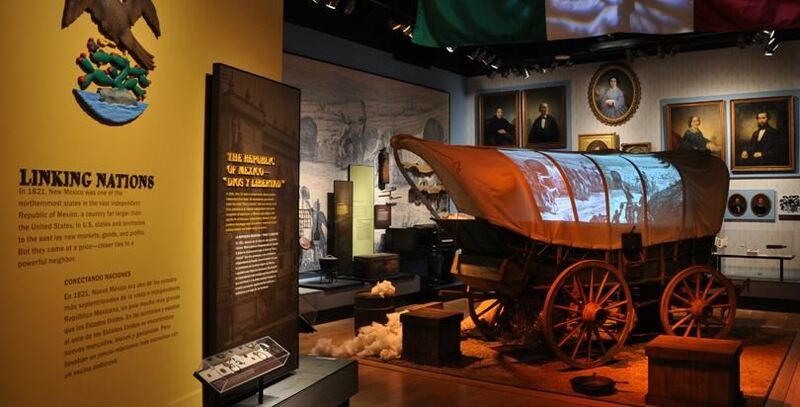 The Branigan Cultural Center hosts a permanent local history exhibit and changing cultural exhibits, as well as educational programs, classes, and other special events. The building is on the National and State Registries of Historic Buildings. 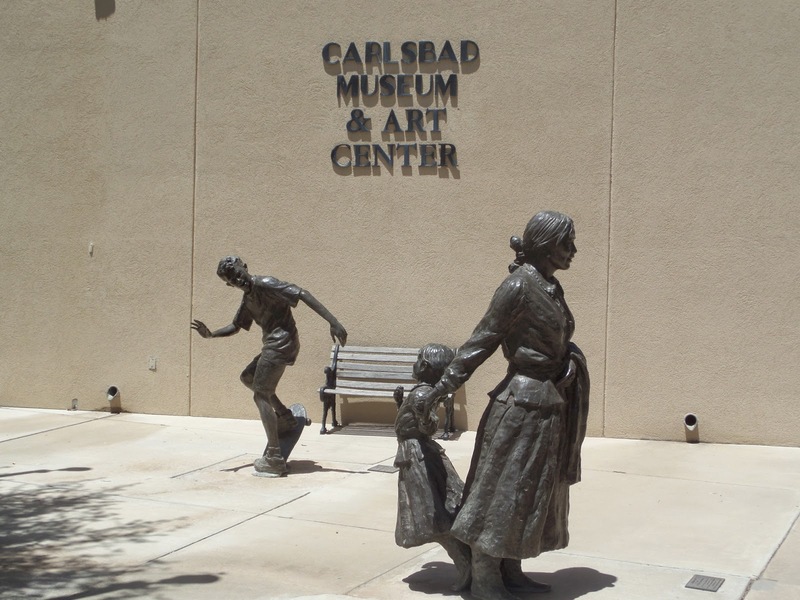 Founded in 1931, the Carlsbad Museum and Art Center fulfills its mission as a cultural and educational institution through the collection, preservation, exhibition and interpretation of artifacts, documents and works of art relating to prehistory, history and aesthetic environment of the City of Carlsbad and the surrounding communities of southeastern New Mexico and the greater American Southwest (New Mexico, west Texas, Arizona and northern Mexico). 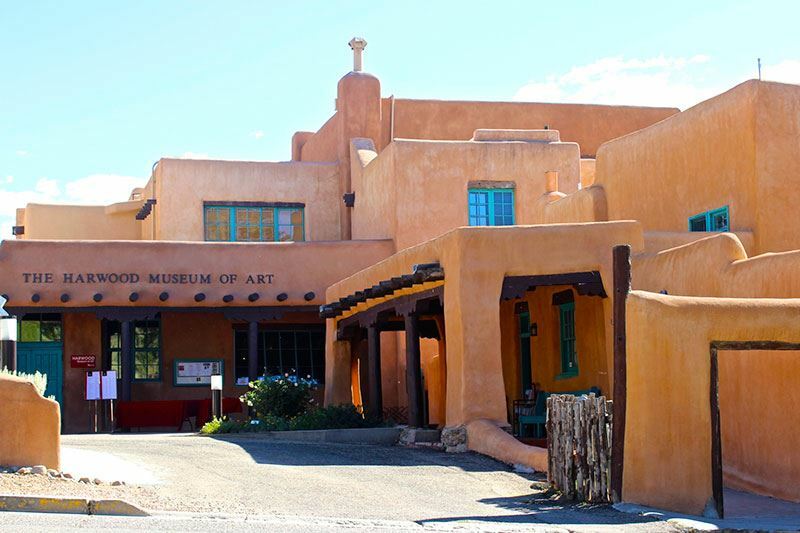 The Museum features permanent displays focusing on local and regional history, Native American art and artifacts, and modern, contemporary and Southwestern art, including the McAdoo Collection of "Taos Ten" paintings. Temporary exhibitions feature Southwestern artists, crafts persons and history topics of interest to people of the region. As a community art center, the Museum also hosts the annual Carlsbad and Loving schools exhibitions (in April and May), the Zia Quilt Guild show (in September) and two Carlsbad Area Art Association exhibitions (in March and October). 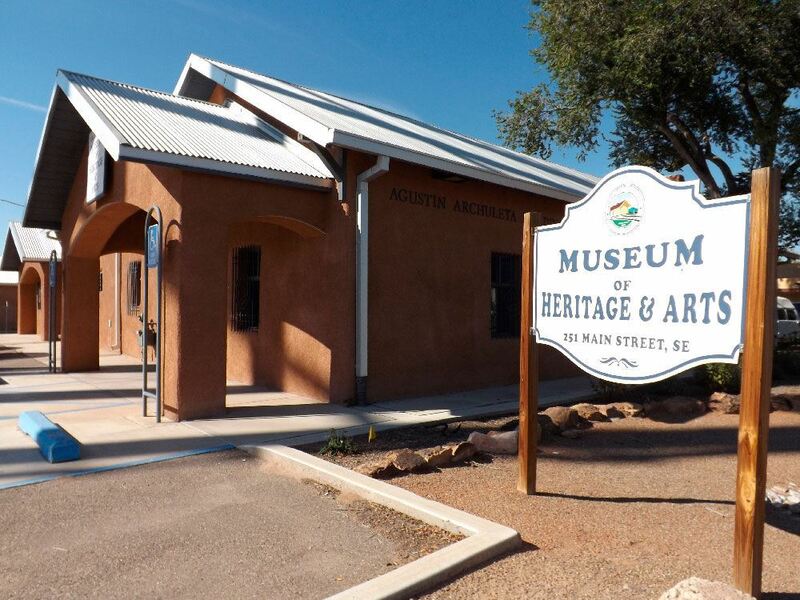 The mission of the CHPA is to promote historical research about Chimayo; to preserve and protect historic buildings and properties essential to the cultural heritage of Chimayo; to protect and preserve the historic record; to establish and maintain a Chimayo Museum and an archive relating to Chimayo's history; and to foster community pride and encourage community members to preserve and respect Chimayo's cultural heritage. The City of Las Vegas Museum and Rough Rider Memorial Collection opened in 1961 as a unit of the City of Las Vegas. The Museum is housed in the historic Municipal Building, a 1940 Works Progress Administration project. The museum collection included over 7,000 items relating to the heritage of the Las Vegas area. Many items may be viewed through our online collection catalog. The Museum offers educational opportunities through classroom visits and activities. Entertaining and informative programs for all ages are offered throughout the year. 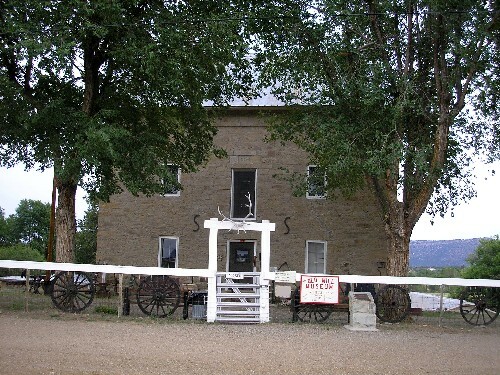 The Cleveland Roller Mill Museum is located in a flour mill built at the end of the 19th century and operated until the early 1940's in the beautiful Mora Valley in northeastern New Mexico. The mill's machinery remains intact and has been restored significantly to the point that it can be operated for demonstration purposes. 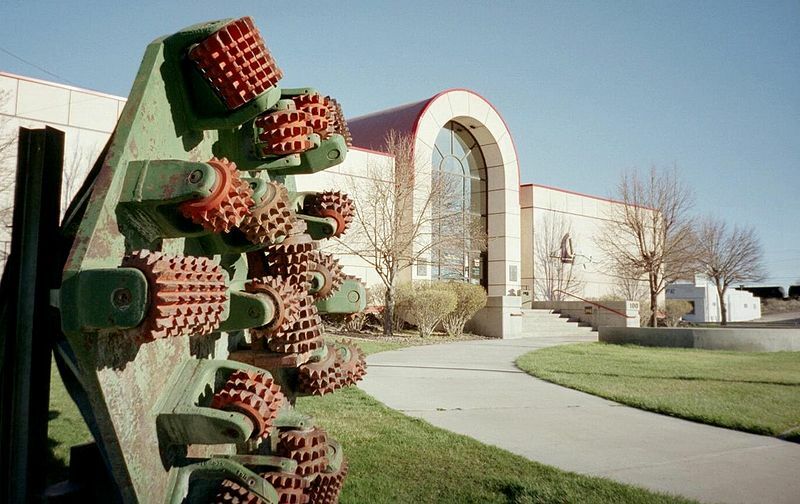 The museum preserves the history of milling in northeastern New Mexico through photographs, documents and physical exhibits and makes this unique history available to all who wish to see it. We now are placing this history and images on the web in order to enrich the lives of people who are unable to travel to the mill site to view the museum in person. Creative New Mexico's mission is to enhance the arts and culture statewide by supporting and advocating for arts and culture activities, organizations, and individuals. 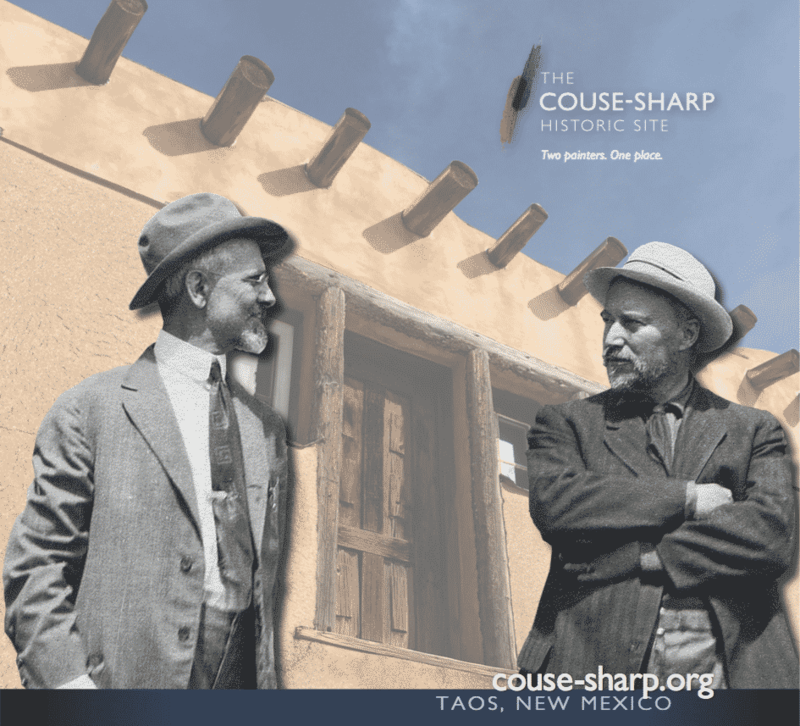 We provide statewide advocacy in support of New Mexico's creative economy by: building awareness of the economic importance of arts and culture; developing a strong network for creative individuals through an interactive website; supporting arts and culture in education advocacy and training; and encouraging the inclusion of arts and culture in all local and state budget planning. The Couse-Sharp Historic Site includes not only the home and studio of E. I. Couse, but the garden designed by his wife, Virginia, the workshops of his son, Kibbey, and the two studios of his neighbor and fellow artist, Joseph Henry Sharp. 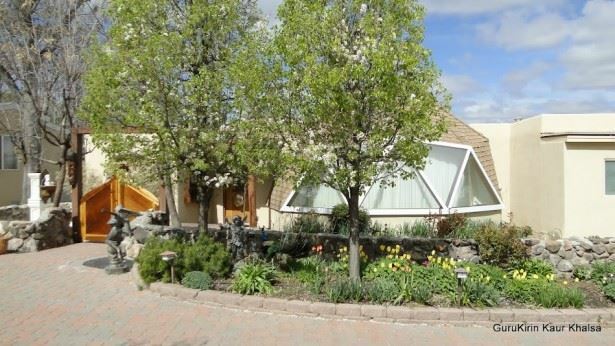 The Site also reflects the contributions of a long history of previous owners. Admission: $3. A combination ticket, good for admission to both Jémez and Coronado Historic Sites is available for $5. Sunday admission for New Mexico residents with ID is free. Wednesday admission is free to New Mexico Seniors (60+) with ID. Children 16 and under are always admitted free. In 1540, Francisco Vásquez de Coronado—with 500 soldiers and 2,000 Indian allies—entered the Rio Grande valley near this site. Searching for the fabled Seven Cities of Gold, he instead found a dozen villages inhabited by prosperous native farmers. The E3 Children's Museum offers hands-on, science-related activities in the main gallery with special programs scheduled throughout the year. The newly updated Tots Turf is a developmentally appropriate environment for children 5 and younger. Sound, Light, Magnetism, Shadows, and Art are found at the E³ Children's Museum and Science Center in downtown Farmington. For the younger children we have Tot's Turf, a room filled with activities that will delight and teach youngsters under the age of five. The museum hosts performances by entertainers and new exhibits are added regularly. 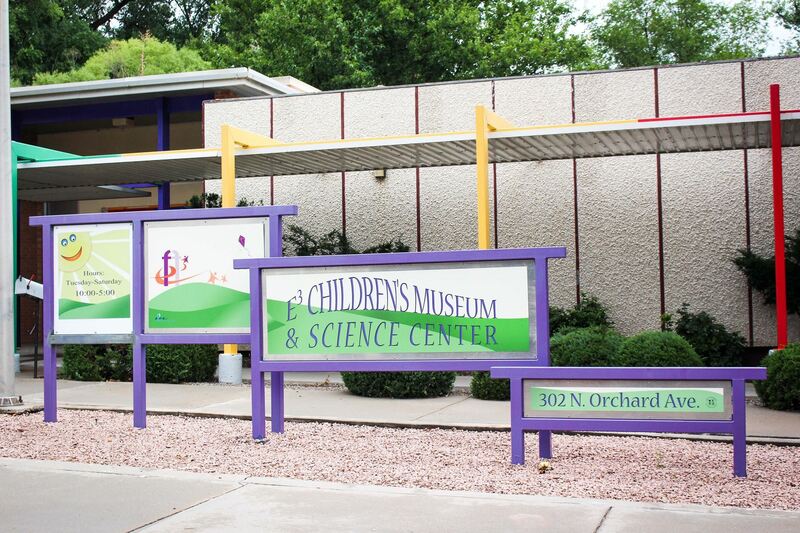 School classes and families will find many things to do and learn at the Children's Museum. Admission: $5. Sunday admission for New Mexico residents with ID is free. Wednesday admission is free to New Mexico Seniors with ID. Children 16 and under are always admitted free. Journey along the historic Camino Real, the Royal Road of the Interior Lands. This 1500-mile historic trade route that extends from Mexico City to Ohkay Owingeh, is one of the oldest trails in the United States and, for more than a century, one of the longest. Explora is a new kind of learning place, providing real experiences with real things that put people’s learning in their own hands. Explora is part science center, part children’s museum, part free-choice school, part grandma’s attic, part grandpa’s garage, part laboratory, part neighborhood full of interesting people, and part of many people’s lives. Exhibits are designed to engage visitors of all ages. Experience a wide variety of exhibits relating to the diverse history of the area's cultures, traveling exhibits, and art shows. Lecture series, performances, workshops, classes, field trips, events, and special demonstrations are offered year-round. The museum store "Currents" features exhibit-related merchandise, books on local and regional interests, toys, and educational materials. Admission: $3. Sundays are free for all NM residents with ID. Wednesday admission is free to New Mexico Seniors with ID. Children 16 and under are always admitted free. Fort Selden was established in 1865 in an effort to bring peace to the south central region of present day New Mexico. 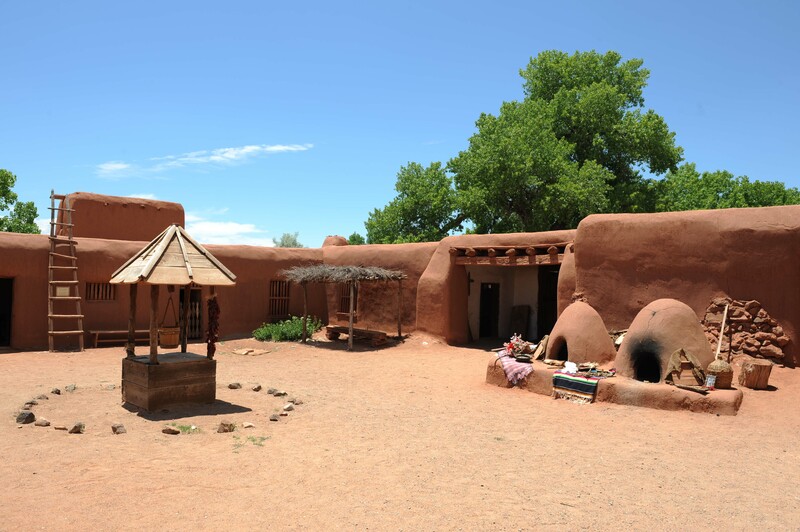 Built on the banks of the Rio Grande, this adobe fort protected settlers and travelers in the Mesilla Valley from desperados and Apache Indians. 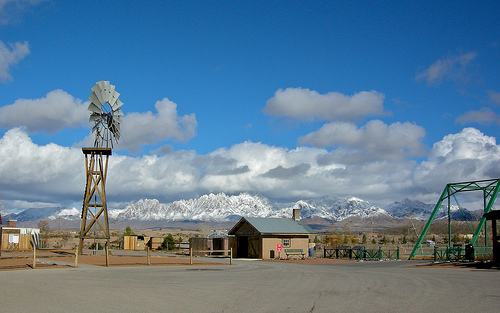 Fort Stanton is situated on 240 acres and surrounded by 1,300 acres of undeveloped BLM land in south-central New Mexico. There are 88 buildings on this historic site, some dating back to 1855. To inspire all current and future generations, the Museum preserves, presents, and advances the artistic legacy of Georgia O'Keeffe and Modernism through innovative public engagement, education, and research. 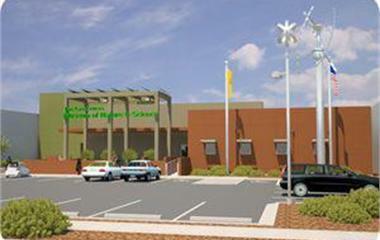 The Hubbard Museum of the American West was presented to the City of Ruidoso Downs in 2005 by R.D. and Joan Dale Hubbard. It has grown from its original incredible collection of Anne C. Stradling’s “Museum of the Horse” to being a truly first class historic Western museum. The famous Stradling collection includes bits, spurs, bridles and saddles from around the world, and an amazing collection of carriages, wagons and horse drawn vehicles spanning hundreds of years. 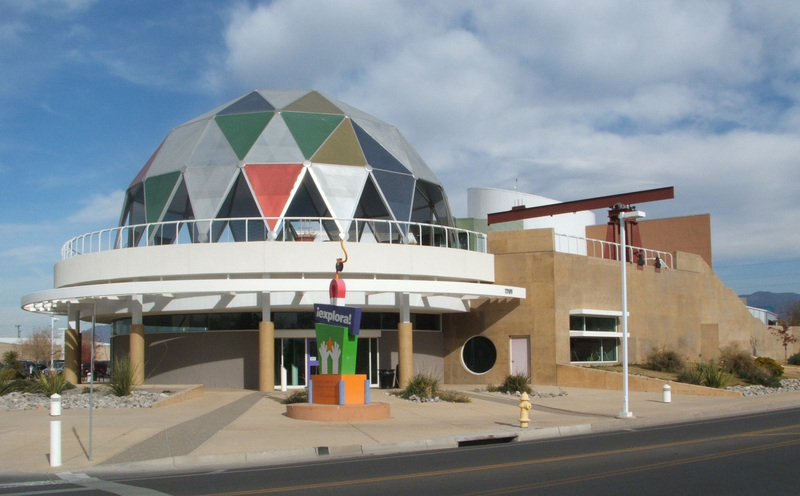 In 2000, The Hubbard Museum became the first New Mexico Museum accepted into the Smithsonian Affiliate Program. Members at the $100 level or higher enjoy reciprocal membership benefits with the Smithsonian Institution. Admission: $3. A combination ticket, good for admission to both Jémez and Coronado Historic Sites is available for $5. Sunday admission for New Mexico residents with ID is free. Wednesday admission is free to New Mexico Seniors with ID. Children 16 and under are always admitted free. A short drive from Albuquerque and Bernalillo, the Jemez National Historic Landmark is one of the most beautiful historic sites in the Southwest. It includes the stone ruins of a 500 year old village and the San José de los Jemez church dating to 1621/2. Hours: 8:30am to 4:30pm 7 days a week. Admission: $5.00 ticket includes 5 museums open between October 1 and March 31, and 7 museums open from April 1 to September 30. Sunday admission for New Mexico residents with ID is free. Wednesday admission is free to New Mexico Seniors with ID. Children 16 and under are always admitted free. Cash and checks accepted at the Visitor Center and Courthouse, and credit cards accepted at Visitor Center only. A town made famous by one of the most violent periods in NM history. See the Old Courthouse with exhibits detailing the Lincoln County War. 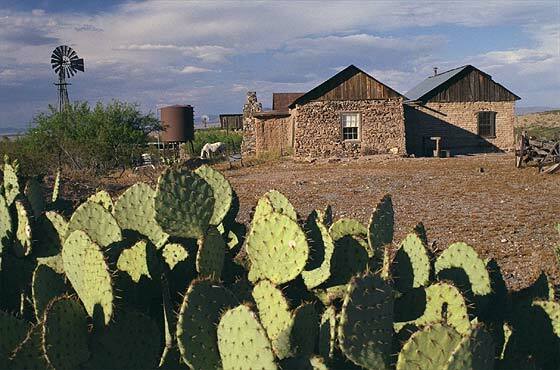 Walk in the footsteps of Billy the Kid, Pat Garrett, and other characters of the Wild West. The Los Alamos Historical Society preserves, promotes, and communicates the remarkable history and inspiring stories of Los Alamos and its people for our community, for the global audience, and for future generations. 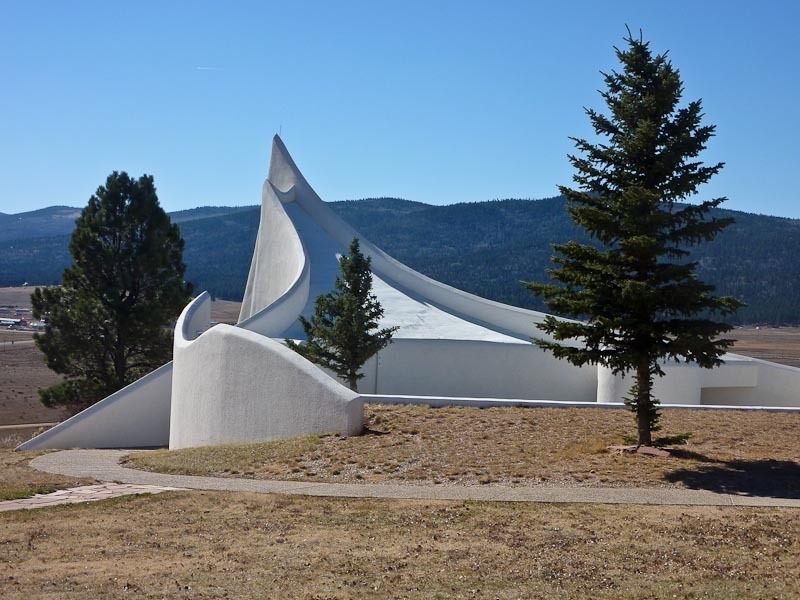 We do this through the Los Alamos Historical Museum, the Los Alamos Historical Society Archives and Collection, publications through Bathtub Row Press, ownership and interpretation of historic buildings, educational programs such as our lecture series, and more. 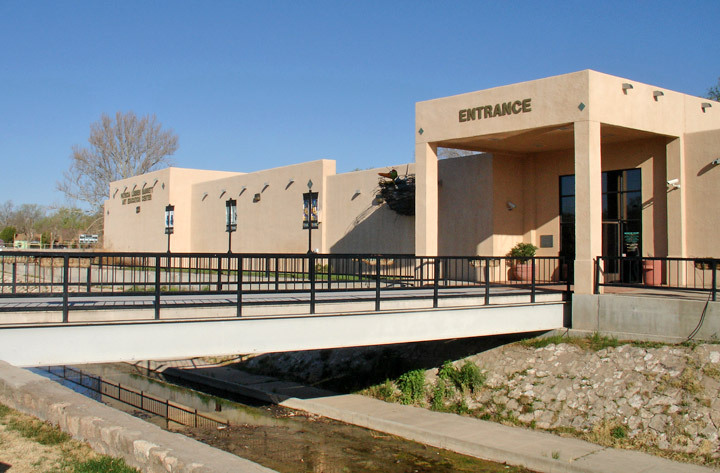 Mesalands Community College's Dinosaur Museum is located in Tucumcari, NM on old Route 66. Visitors will see genuine fossils collected from students enrolled in the two-year Paleontology program, as well as life-sized bronzes created through the Fine Arts Bronze program. Admission: 1-Day Pass: $5.00, Under 16: Free, We are now free to New Mexico residents on Sundays! 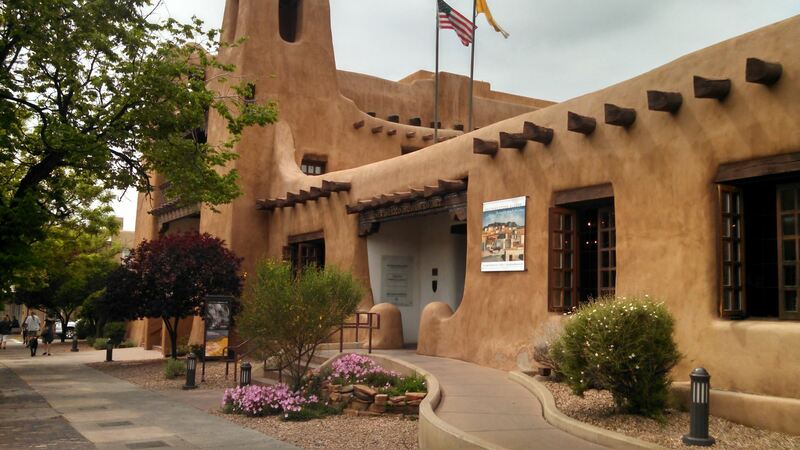 The Museum of Spanish Colonial Art collects, preserves, and exhibits the Spanish colonial art of New Mexico and beyond, and educates the public about its related cultures and living traditions. Since the 1600s, Spanish colonial arts and crafts have been an important part of village life in New Mexico and Southern Colorado; however, by the early 1900s, the practice of these traditional arts was declining. 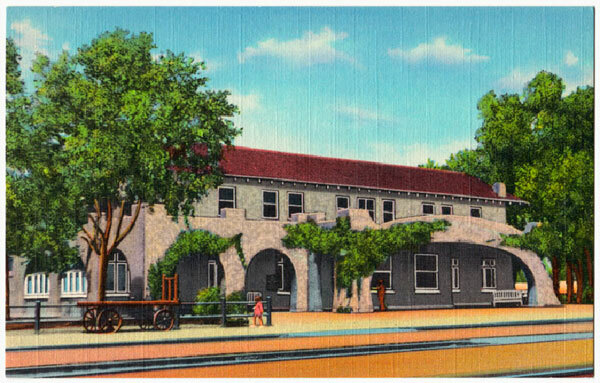 In 1925, the Spanish Colonial Arts Society was founded in Santa Fe to encourage and promote Spanish colonial arts and crafts and to inform and educate the public about traditional art forms, designs, and techniques. Since then, the Spanish Colonial Arts Society has played a major role in developing markets for the artists, increasing public awareness, preserving Spanish colonial art, and emphasizing the importance of continuing community traditions. The Museum of the American Military Family and Learning Center is where people with shared and converging paths come together as community, inspiring a sense of place and history. As a repository for their stories, we shape the future by preserving our heritage, recording its evolution, and inviting dialogue by sharing our experiences with the world. 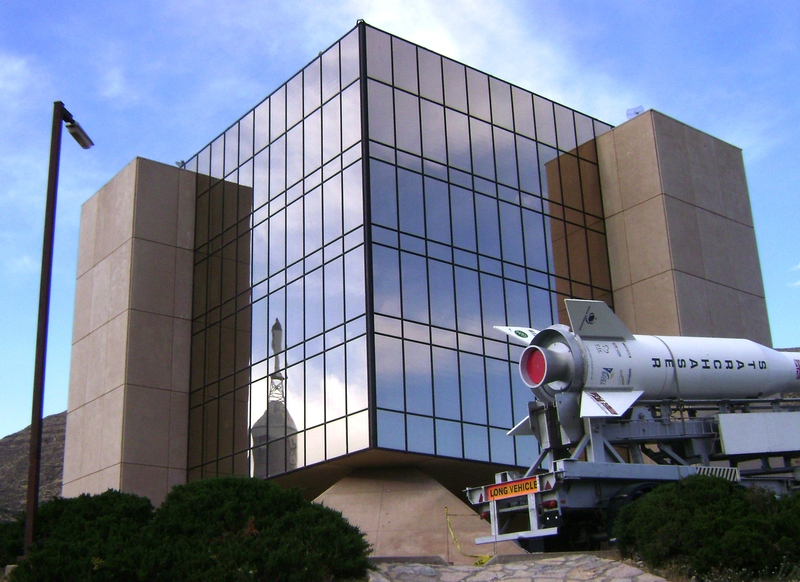 The National Museum of Nuclear Science & History was established in 1969 as an intriguing place to learn the story of the Atomic Age, from early research of nuclear development through today’s peaceful uses of nuclear technology. Visitors can explore how nuclear science continues to influence our world. The museum strives to present, through permanent and changing exhibits and displays, the diverse applications of nuclear energy in the past, present and future along with the stories of the field’s pioneers. 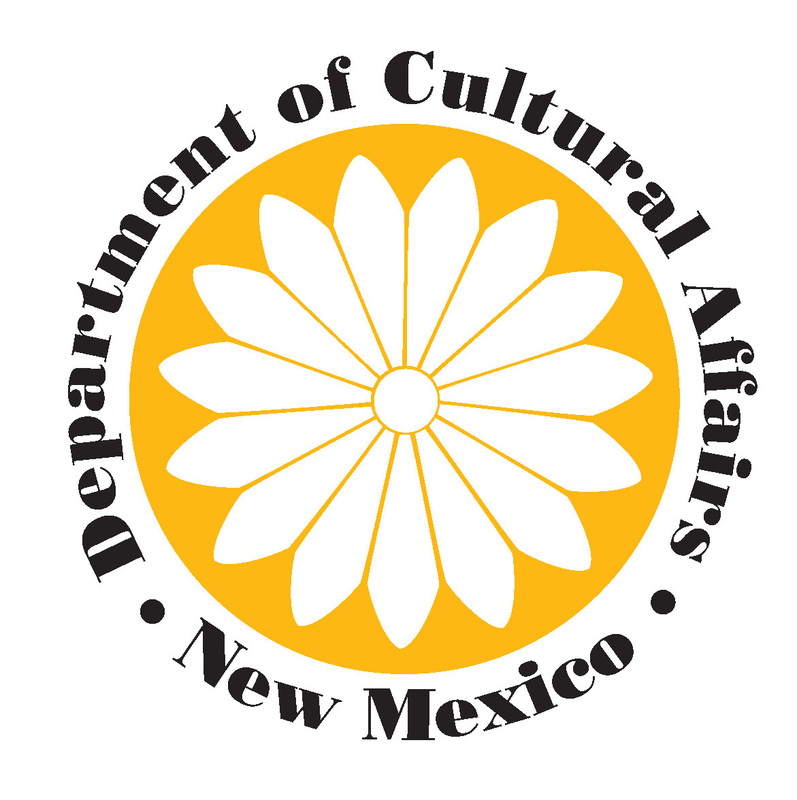 The New Mexico Department of Cultural Affairs preserves, fosters, and interprets New Mexico's diverse cultural heritage and expression for present and future generations, enhancing the quality of life and economic well-being of the state. The interactive museum, which has welcomed visitors from all over the world, brings to life the 4,000-year history of farming and ranching in New Mexico. 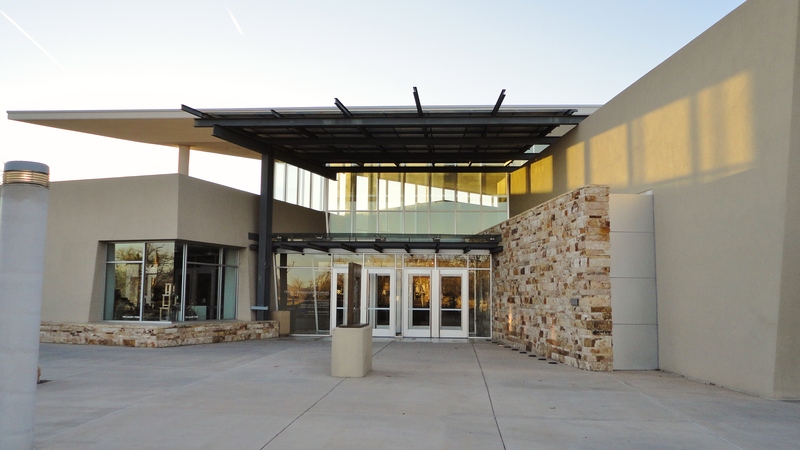 The enormous main building contains more than 24,000 square feet of exhibit space, along with catering space for meetings and events, a mercantile and theater. Fun and learning go hand in hand as visitors can watch a cow being milked, stroll along corrals filled with livestock, enjoy several gardens or watch one of our growing number of demonstrations. New Mexico Highlands University, established in 1893, is a public, state institution accredited by the Higher Learning Commission. NMHU offers undergraduate and graduate degrees at its main campus in Las Vegas, New Mexico, and its centers in Rio Rancho, Santa Fe, and Farmington. The New Mexico History Museum and the Palace of the Governors National Historic Landmark are distinctive emblems of our nation's history. We present exhibitions and public programs that interpret historical events and reflect on the wide range of New Mexico historical experiences. The museum actively acquires and holds in perpetuity collections relating to the heritage of New Mexico and the Southwest. 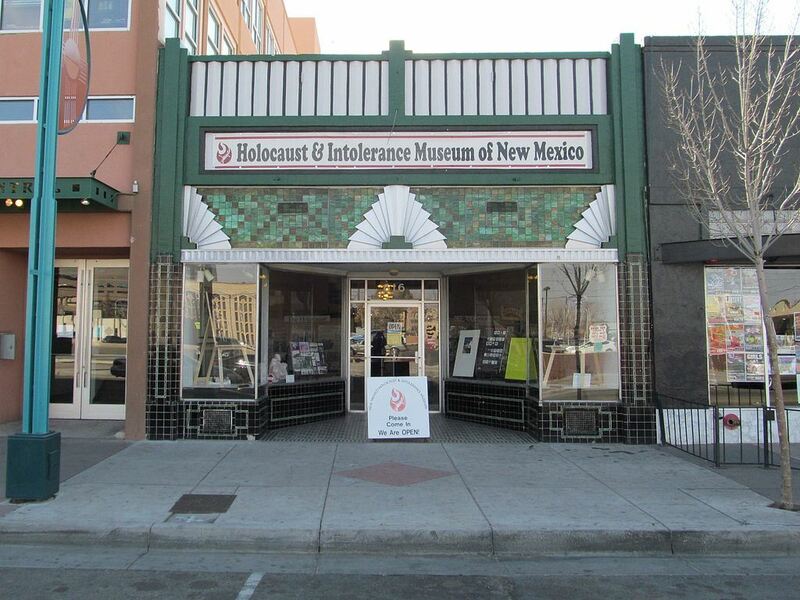 It serves as a history center for research, education, and lifelong learning, delivering quality programs that encourage knowledge, understanding, and appreciation of New Mexico's diverse cultures. Our purpose is to educate visitors well as teach about other genocides and forms of bullying that have affected people around the world. We are not limited to one religion, culture, geographic area, or time. This simulated Uranium Mining Museum is top notch! Retrace the experience of going underground and see what the Miners worked in everyday. Learn about the rich historical legacy of mining and the related culture of Grants/Cibola County. The initial boom in the Grants area started soon after Paddy Martinez, a Navajo sheepherder, found uranium-bearing outcrops in the Todilto Limestone Member of the Wanakah Formation at the foot of Haystack Butte in the spring of 1950. 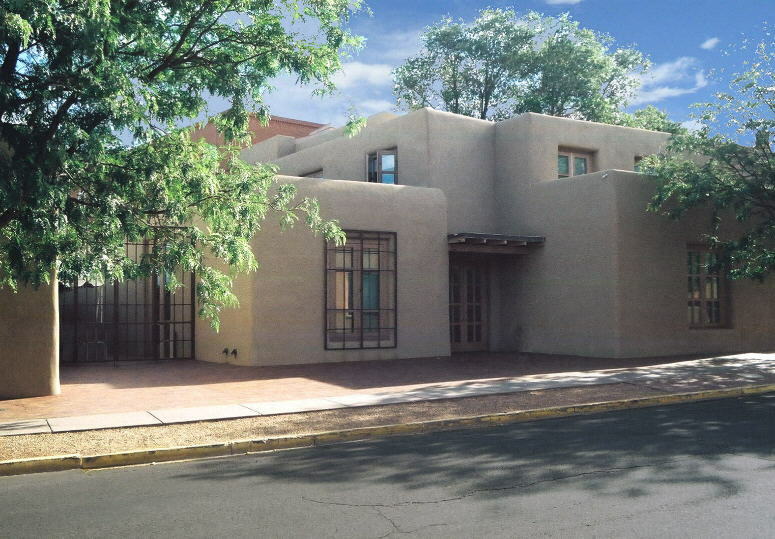 The New Mexico Museum of Art collects and presents modern and contemporary art from New Mexico and the Southwest. The museum is a catalyst and showcase for creativity and the enjoyment of art. Artists, learners and community members are empowered to think critically and see a multiplicity of meanings. We bring the art of the world to New Mexico and the art of New Mexico to the world. 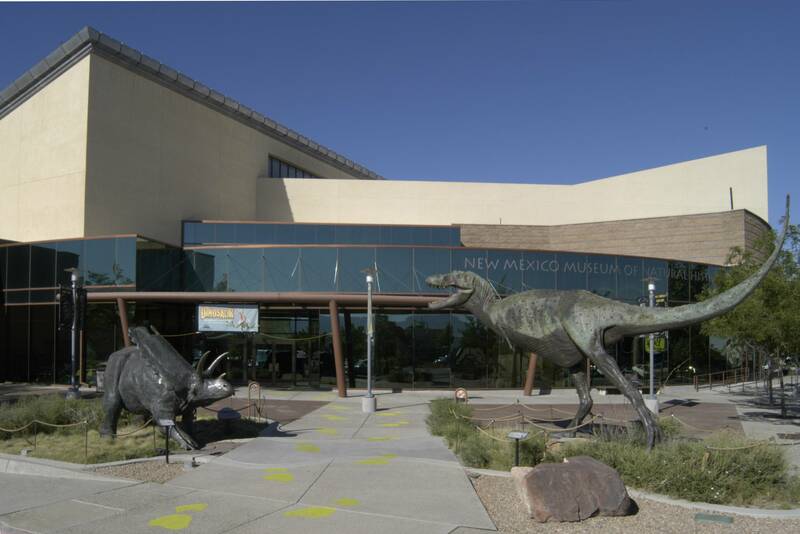 The New Mexico Museum of Natural History and Science preserves and interprets the distinctive natural and scientific heritage of our state through our extraordinary collections, research, exhibits, and programs designed to ignite a passion for lifelong learning. 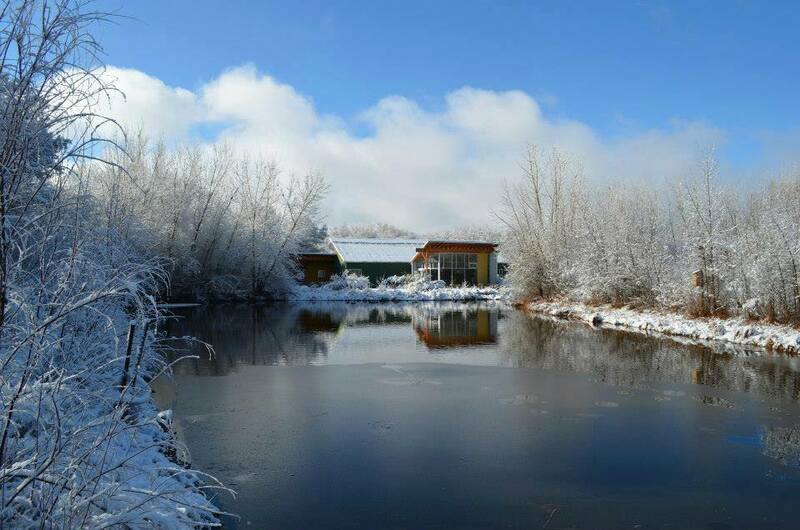 The Pajarito Environmental Education Center (PEEC) operates out of the Los Alamos Nature Center, a showpiece building perched atop a canyon edge steps from downtown Los Alamos. 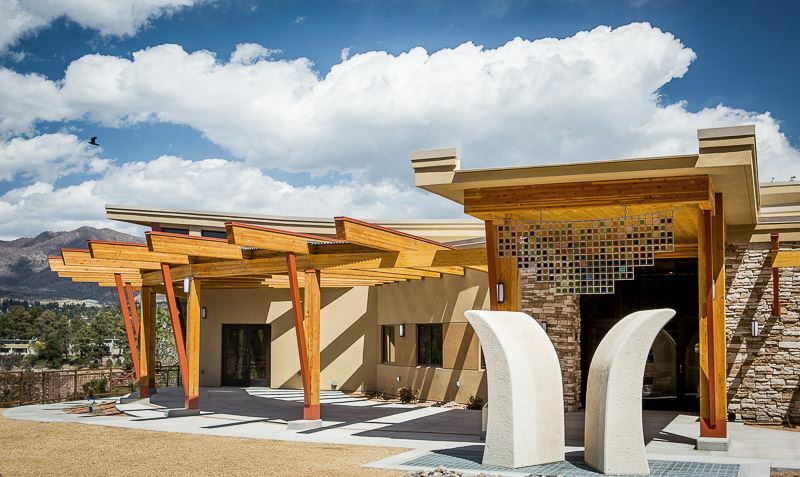 The Nature Center features exciting, interactive exhibits that get kids and adults thinking and having fun while learning about nature in northern New Mexico. The Silver City Museum, housed in the restored 1881 Mansard/Italianate H.B. 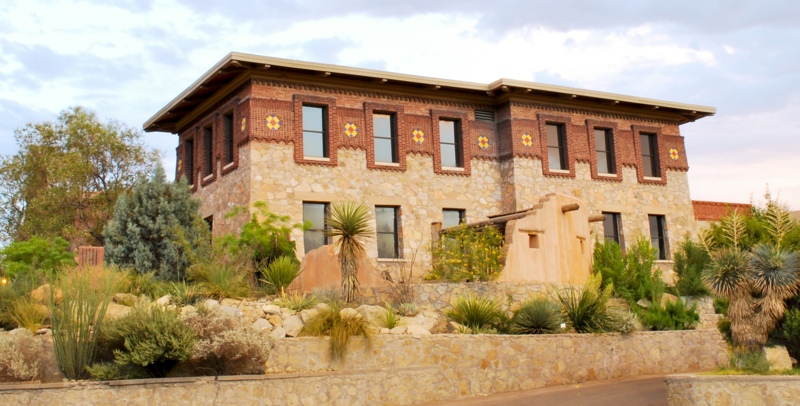 Ailman House, has a collection that included 20,000 objects relating to the peoples and history of southwest New Mexico. It took Ross Ward over 40 years to carve, collect, and lovingly construct what is now Tinkertown Museum. His miniature wood-carved figures were first part of a traveling exhibit, driven to county fairs and carnivals in the 1960s and ’70s. Today over 50,000 glass bottles form rambling walls that surround a 22-room museum. Wagon wheels, old fashioned store fronts, and wacky western memorabilia make Tinkertown’s exterior as much as a museum as the wonders within. Inside, the magic of animation takes over. The inhabitants of a raucous little western town animate to hilarious life. Under the big top, diminutive circus performers challenge tigers and defy gravity while the Fat Lady fans herself and a polar bear teeters and totters. 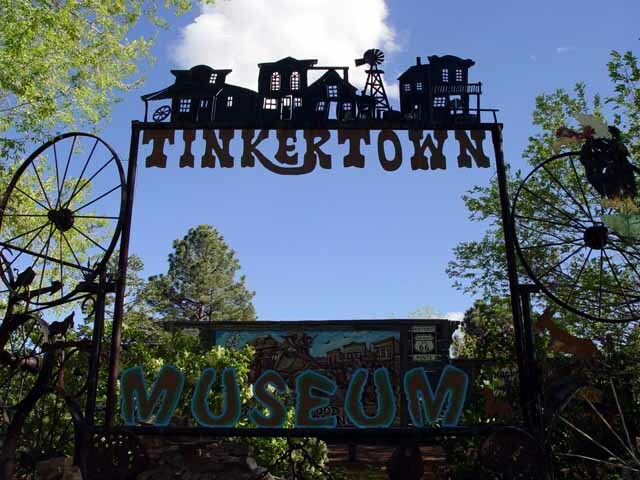 Throughout, eccentric collections of Americana (wedding cake couples, antique tools, bullet pencils and much, much more) fill Tinkertown’s winding hallways. Otto the one-man-band and Esmerelda, the Fortune Teller, need only a quarter to play a tune or predict your future. Through a doorway and across a ramp waits a big-sized surprise: a 35′ antique wooden sailboat that braved a 10 year voyage around the world. Ever a work in progress, Tinkertown is ready to inspire your imagination and awaken your creative spirit. We look forward to seeing you soon! 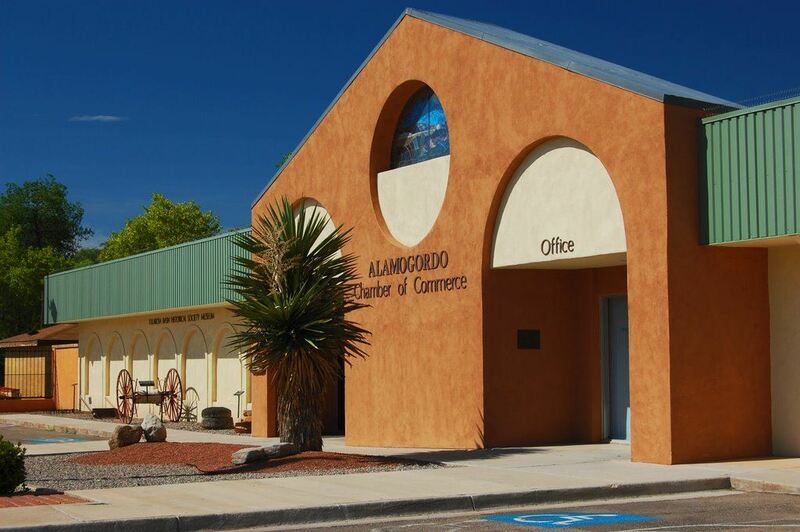 It is the purpose of the Tularosa Basin Historical Society to encourage in every way possible a greater appreciation of the history of Alamogordo, Otero County, and the entire Tularosa Basin in New Mexico. The Tularosa Basin Historical Society encourages in every way possible a greater appreciation of New Mexico history through aid and assistance, when practical and as funds are available, for the publication of historical materials; the establishment of historical collections and museums; the preservation of historic documents, artifacts, and published materials of historic importance; the purchase and preservation of historical landmarks; and all other related activities. 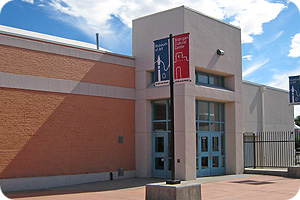 The UNM Art Museum, as a dynamic part of the state’s flagship institution of higher learning, is first and foremost a teaching museum. The museum was founded in 1963 and its collections have grown exponentially over the years reflecting the university’s unique location, the museum’s status as a resource, and the interests of its supporters. 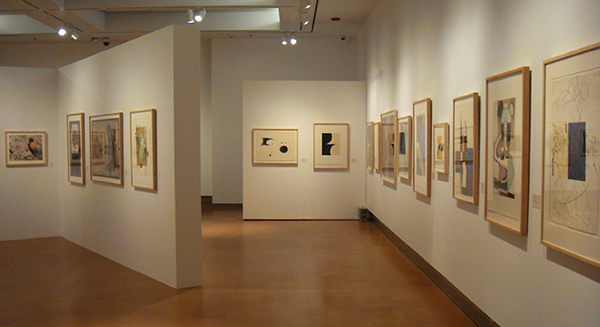 The Museum’s collection includes painting, photography, prints, and sculpture with particular strengths in American prints and works by the Transcendental Painting Group. It also houses the estate collection of Raymond Jonson and Clinton Adams and is the archive for the Tamarind Lithography Workshop (1960-1970) and the Tamarind Institute (1970-present). Begun by Van Deren Coke and enhanced by Beaumont Newhall, the vast works on paper collection includes over 10,000 photographs and early cased objects, more than 10,000 prints, which date from the Nuremberg Chronicle (1493) to the present day, and nearly 1,500 drawings. The Museum Studies Program is an interdisciplinary course of study designed to provide students with academic training in essential aspects of museology. The curriculum equips students with a range of museum skills and enables them to tailor learning to their career objectives. The Program offers two courses of study: 1) an undergraduate certificate and 2) a graduate minor. The Program prepares students for a variety of museum related occupations, including: collections managers, registrars, museum educators, exhibit developers, park interpreters, curators, and administrators. 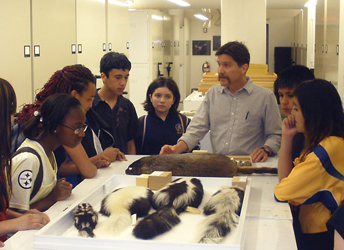 The Museum Studies Program also is valuable to students who wish to become outdoor educators, interpreters, or naturalists. Some graduates may choose to pursue a Ph.D. to prepare for advanced curatorial work in museums. The Museum Studies Program brings together a unique consortium of UNM Museums, courses, laboratories, researchers, museum professionals, and educators in a statewide and national network to train qualified students for teaching, research, curation, and public service in museum contexts. 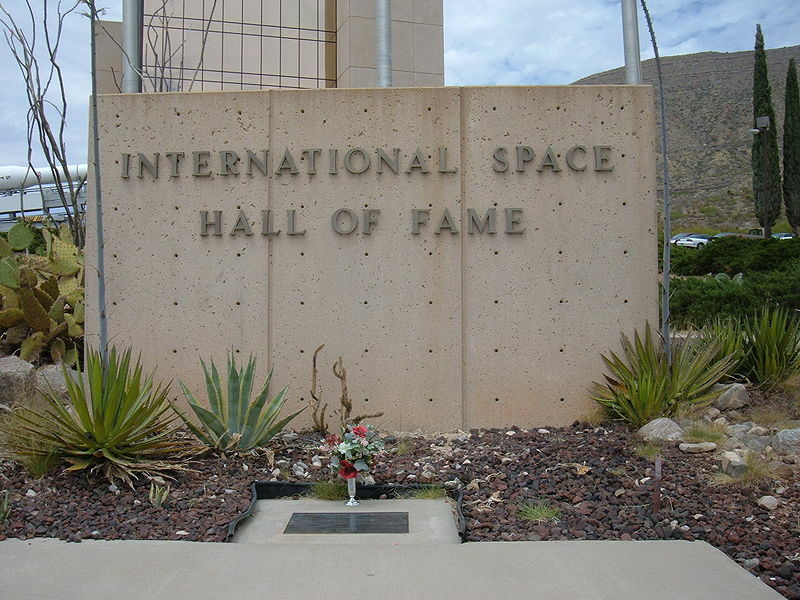 The Museum and Gardens are part of the University of Texas at El Paso, and also serve the binational community of the Chihuahuan Desert region. The Museum was established in 1936 and the Gardens were dedicated in 1999. 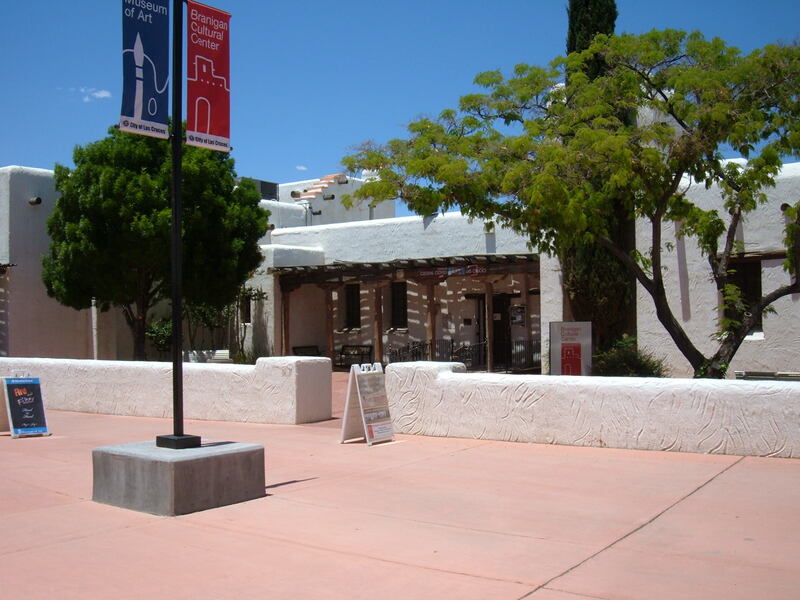 The Museum’s permanent exhibits focus on the natural and cultural history of the Chihuahuan Desert region. The extensive stored collections of the Centennial are available for scholarly research. In the temporary galleries, the Museum presents a wide range of exhibits on themes related to border life and culture, the Americas, and UTEP activities. The Memorial was established in 1968 by Victor and Jeanne Westphall to honor their son, Lt. David Westphall, who was killed in Vietnam in May 1968. When it opened in 1971, it was one of the first Memorials of its kind in the United States dedicated to Vietnam Veterans. 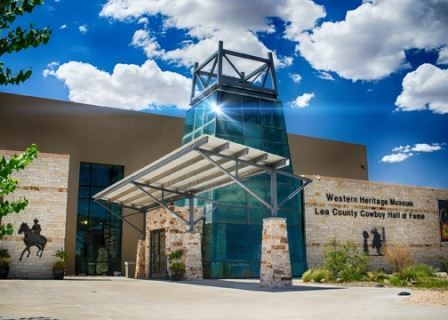 The Western Heritage Museum is a multi-functional center dedicated to bringing people together, providing numerous educational experiences, and presenting the diversity of the cultural and natural histories of Southeastern New Mexico and the surrounding regions. The Lea County Cowboy Hall of Fame is a 501(c)3 non profit corporation dedicated to the role of honoring those persons from Lea County, NM who have made outstanding contributions in the world of rodeo, ranching, and the ranching way of life. The Cowboy Hall of Fame honors individuals who have influenced the growth of our community through their leadership, and enhances and compliments the educational process at New Mexico Junior College.